Phillip Island saw Valentino Rossi finish off the podium for the second time in 2015, he’s out for victory in Malaysia. Just two rounds remain to decide who is crowned the 2015 MotoGP™ World Champion, a mere 11 points separate Movistar Yamaha teammates Valentino Rossi and Jorge Lorenzo. It’s all coming down to the wire but Rossi isn’t going to let it slip away and is hungry for victory at the Shell Malaysia Motorcycle Grand Prix. 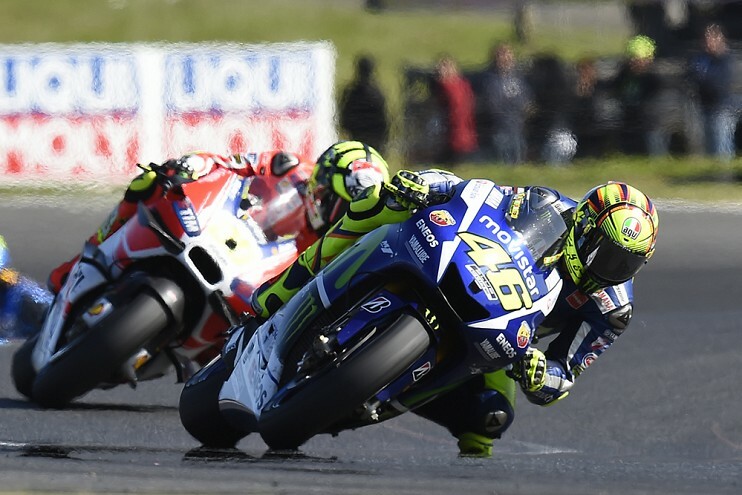 11 points may enable Rossi to finish second in both races and still lift the title but even a small mistake could see him suddenly playing catch up to Lorenzo, especially with several other riders now battling towards the front. The Italian will be relying on years of experience at the Malaysia track when he lines up to do battle on Sunday, out to replicate his 2003, 2004, 2006, 2008 and 2010 wins. Rossi is feeling confident for the race and doesn’t feel that his fitness will be an issue in the extreme tropical heat. The Sepang International Circuit is a unique track with a mix of fast and slow corners as well as two iconic straights linked with a hairpin, a physically demanding layout regardless of the heat. Sepang is the last of the back-to-back triple header, the riders finally able to get a weekend’s rest after Sepang before the final battle in Valencia. Sepang also presents Rossi with his first chance to clinch the title, if he can score 15 points more than Lorenzo in Sepang he will take the title with a race to spare. The race at Sepang is worth a lot and we have to get the best result in each session and then win. We arrive at the last race of this triple transfer with a good lead, and this is definitely positive.